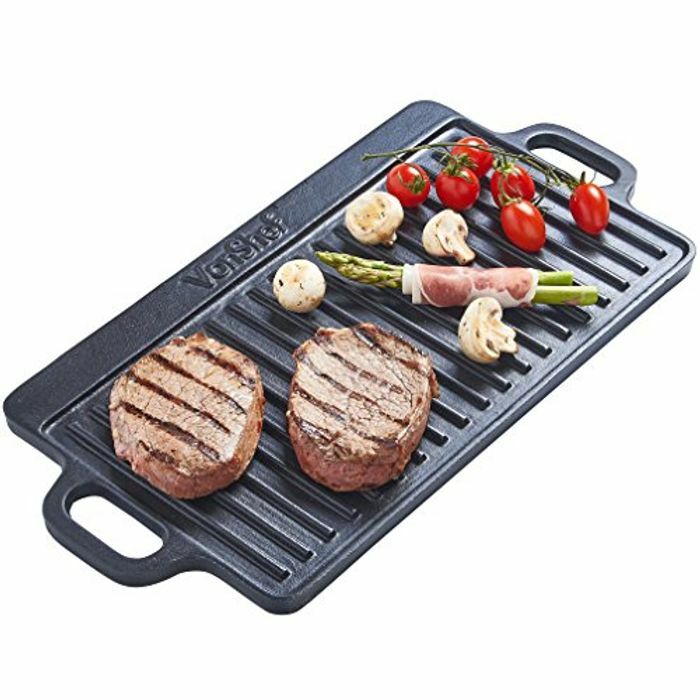 Double-sided reversible black cast iron griddle pan - perfect for BBQ's, camping, parties and cooking on the hob. Cooking Surface: 37 x 19 cm. Ahh this would be perfect for the summer season! Thanks so much for sharing, looks like it's very good quality too. That is a good question. I bet on 46cm u can fit a lot of bacon...I am more curious about how it works on induction??? ?